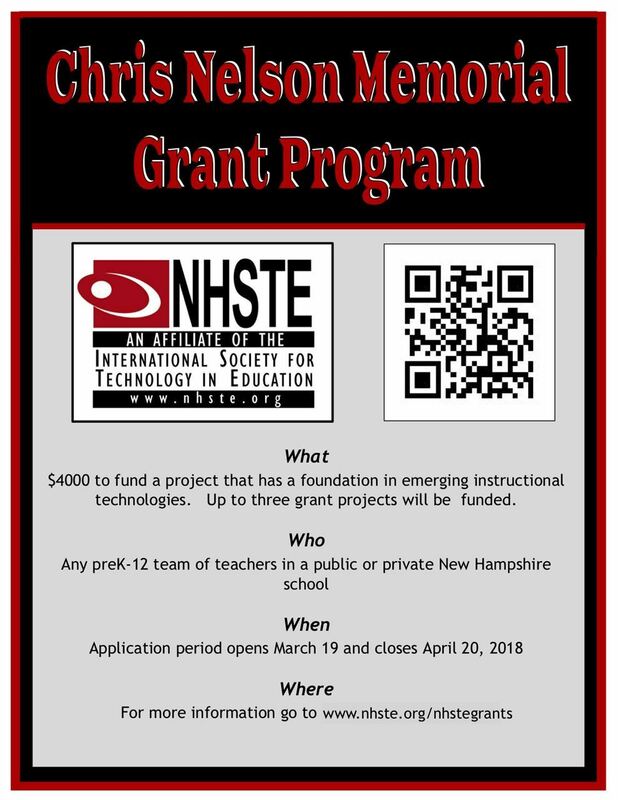 Chris Nelson Memorial Grant Program Opens March 19th! Great your ideas flowing... it is time for our annual grant program! Application period opens on March 19th. FINAL Notice - there are about 4 rooms left in the NHSTE Housing Block for Chicago this June. Deadline is TOMORROW! For anyone who is considering attending ISTE 2018 in Chicago (June 24 to 27), NHSTE would like to inform you of an opportunity available to all NHSTE members - the NHSTE Housing Block. Some of you have taken advantage of this in the past, this may be new information to others. 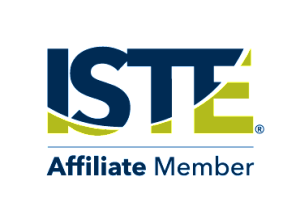 As a benefit of NHSTE helping to market the ISTE 2017 conference, we have the option to secure rooms together in one hotel at the conference for our NHSTE members. This is a limited number of rooms and requires Housing Selection by February 1st and cancellation by April 9, 2018 without penalty. To get all the details, click here or navigate from the NHSTE home page to BENEFITS then ISTE ANNUAL CONFERENCE for all the details. • All unused rooms in your block will be released for general sale on February 2, 2018. • Reservations can be adjusted or cancelled without penalty through 5:00 p.m. EST on April 9, 2018. • Reservations cancelled after 5:00 p.m. EST on April 9, 2018, will be assessed a $150 cancellation fee per room. This is only the second time in the past 20 year that ISTE is in Chicago and there are a number of direct flights from Manchester, so you might want to consider heading west this June. More details about ISTE 2018 to follow throughout the coming year! Deb Boisvert hasarranged for a free Code.org k-5 training session at Deerfield on Saturday Jan 20, 8-3 . Usually this class is only offered in Hopkinton, but if we can get enough folks it will be offered in Deerfield. Please encourage folks who might be interested to sign up ASAP so that we can have it on this side of Concord. All unused rooms in your block will be released for general sale on February 2, 2018. Reservations can be adjusted or cancelled without penalty through 5:00 p.m. EST on April 9, 2018. Reservations cancelled after 5:00 p.m. EST on April 9, 2018, will be assessed a $150 cancellation fee per room. This is only the second time in the past 20 years that ISTE is in Chicago and there are a number of direct flights from Manchester, so you might want to consider heading west this June. Are you planning on going to the ISTE Annual Conference this year. Click here to check out more information and learn about the NHSTE housing block. Over the last year, the NHSTE Board has been working to provide more value for Premium Members, more support for upcoming teachers, and encourage retired teachers to stay connected. To support that work one of the changes we have made is to update the membership level and benefits structure. These updates were rolled out at the Christa McAuliffe Technology Conference. Please visit our membership page for more information. Please Participate in the CoSN edtech survey. NHSTE now has a new software discount deal with Papercut. Click here to read more about the package. 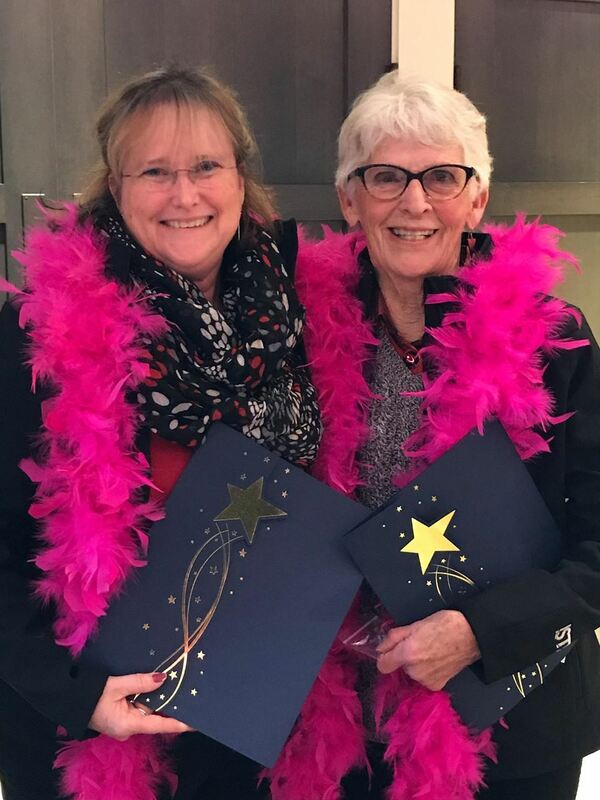 Congratulation to Shelia Adams and Anne Knight... our 2017 Making IT Happen Award Winners. 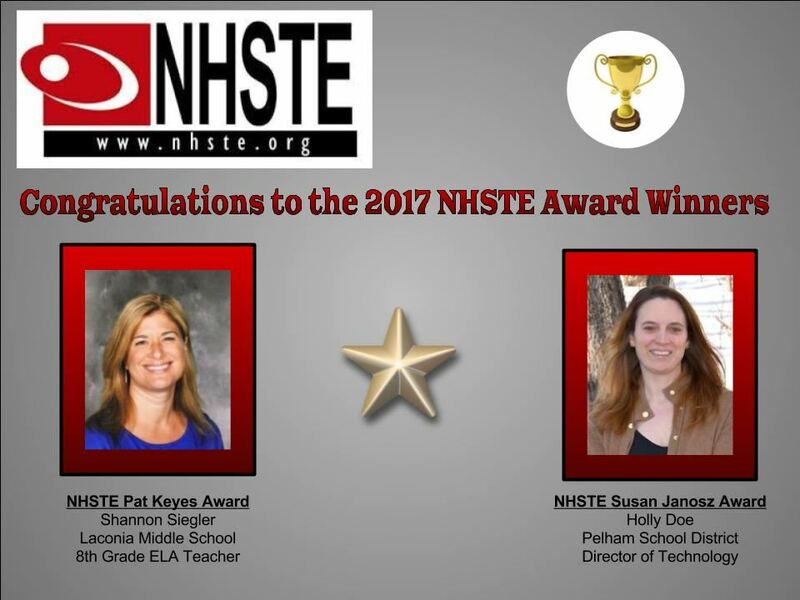 Congrats to our 2017 NHSTE Award Winners! More information about the award winners will come soon!